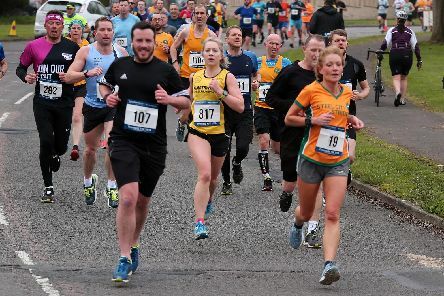 Almost 1,000 runners took to the start line for the 26th Dronfield 10K on Sunday. 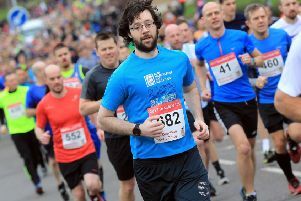 Did you take part in this year's Retford Half Marathon or Fun Run? 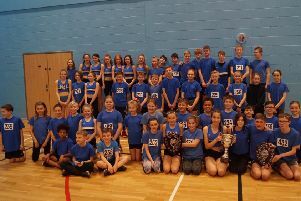 An amazing campaign in which they won every match has resulted in the youngsters of Chesterfield Athletics Club being crowned champions of the Derbyshire Sportshall League. 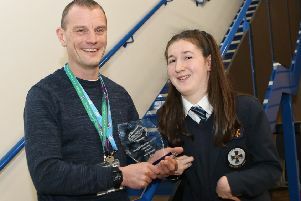 The race-running exploits of Hasland schoolgirl Orla Conneely have won her the young disabled sportsperson of the year award from the Chesterfield School Sport Partnership. 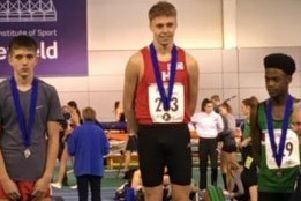 Golden boy Gabriel Gisborne was the toast of Dronfield after powering to success at the Northern Indoor Athletics Championships, held in Sheffield at the weekend. 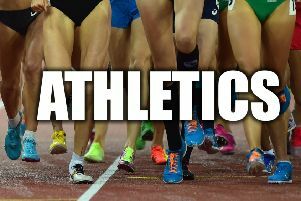 Gold medals were won by two members of Chesterfield and District Athletics Club, Will Foot and Alicia Barrett, at the Northern Indoor Championships. 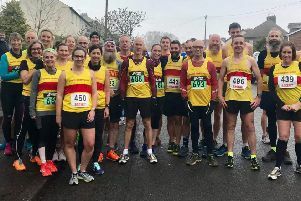 The veteran men’s team took pride of place when 31 athletes from the North Derbyshire Running Club tackled the county’s cross-country championships on Saturday. 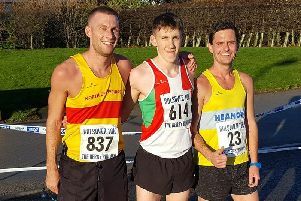 North Derbyshire Running Club celebrated another successful Bolsover 10k, their flagship event. 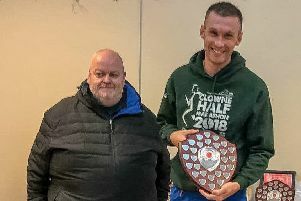 The excellent Richard Start spearheaded one of the most successful raids on a half-marathon for some time by North Derbyshire Running Club (NDRC). 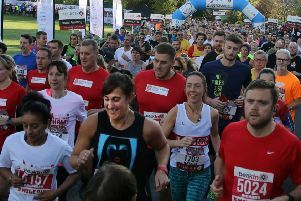 Organisers of the Redbrik Chesterfield Half Marathon have hailed this year’s event as a ‘huge success’. 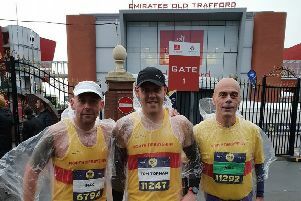 The multi-million pound stars of Manchester United were replaced for a day ay Old Trafford by plucky athletes from North Derbyshire Running Club (NDRC). 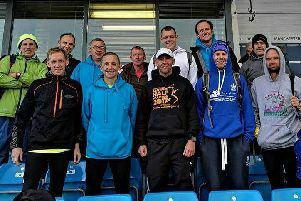 They weren’t quite Sergio Aguero, Kevin De Bruyne or David Silva, but athletes from North Derbyshire Running Club did themselves proud when gracing Manchester City’s Etihad Stadium on Sunday. 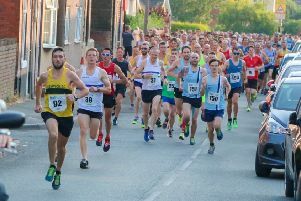 A new course record was set in a successful 35th running of the historic Hardwick 10K race, which attracted 550 runners on a warm evening. There was a buzz around Buxton as the four-mile road race took place on Carnival Day. 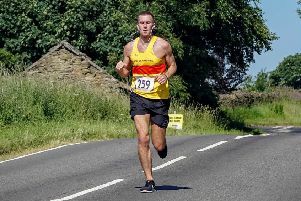 Scorching heat could not prevent Richard Start blazing a trail to victory in the Spire 10 race, organised by North Derbyshire Running Club on Sunday. 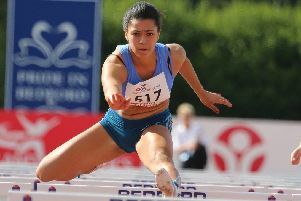 Chesterfield and District AC’s Alicia Barrett was one of the star turns at the Muller British Athletics Championships, held at the Alexander Stadium in Birmingham over the weekend. 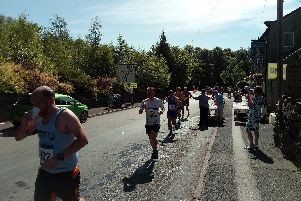 Hundreds of runners had to overcome blistering temperatures at the Dronfield 10k this morning. Weather shock: No snow forecast for Sunday’s Dronfield 10K! 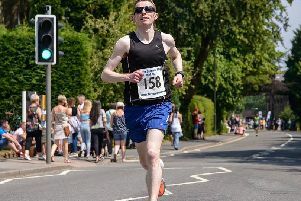 It’s hard to credit it during the current heat wave - but it was only 100 days ago that Dronfield’s 10k was postponed because of the threat of snow and ice! 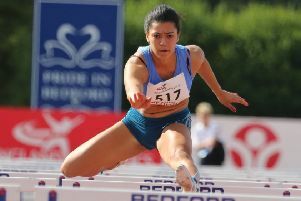 There were a number of personal best performances by Chesterfield And District Athletic Club athleted at the Derbyshire Schools Championships at Derby.